Nicole Anderson’s new thriller film Accused At 17 + Twit pix: When 17-year-old Bianca Miller [Nicole] finds out her boyfriend cheated on her with a classmate [Dory, 17], she’s furious. When her best friends Fallyn, 17, and Sarah, 17 suggest they play a prank on Dory to make her pay, Bianca agrees to go along. The three girls lure Dory to a remote location, intending to leave her out there in the dark and make her walk home. But when Dory doesn’t show up to school the next day, everyone, including Bianca, start to worry. When Dory’s dead body is found by a hiker, Bianca is horrified and wants to go to the police. She confesses to her mother Jacqui [Cynthia Gibb] the details of the prank and the two decide to go to the police and tell them. What Bianca doesn’t know is that the girl was murdered by her two best friends! Realizing that Bianca’s going to the police could implicate her, Fallyn decides to frame Bianca for Dory’s murder. With Bianca facing life in prison for a murder she didn’t do, Jacqui does the only thing she can. She appeals to Fallyn’s father Richard [William Moses] and his strong sense of morality to help her elicit the truth from Fallyn. But will Richard decide to help Jacqui and Bianca or hide Fallyn’s dark secret to keep his daughter from going to prison for not one, but two murders..
Watch this exclusive video of Nicole Anderson visiting the Camp Ronald McDonald Holiday Celebration and the Naval Special Warfare Foundation Children’s Christmas Party. Hope you guys are enjoying the holiday season. 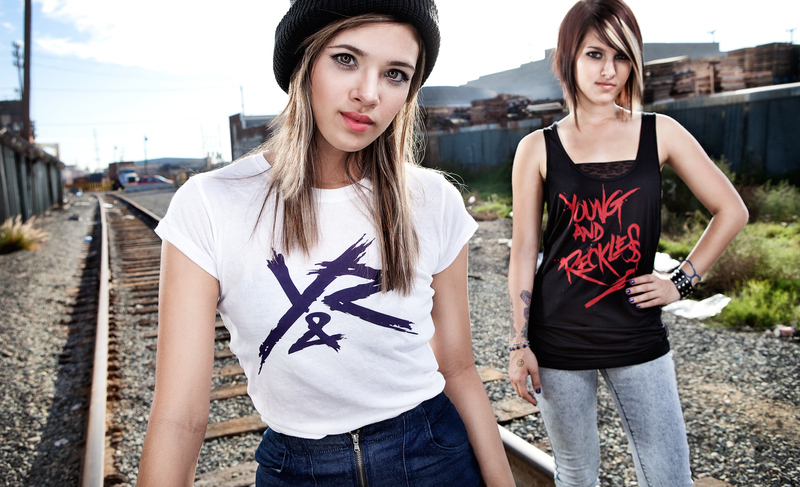 Check out a few pics of Nicole Anderson modeling for the Young & Wreckless photoshoot. 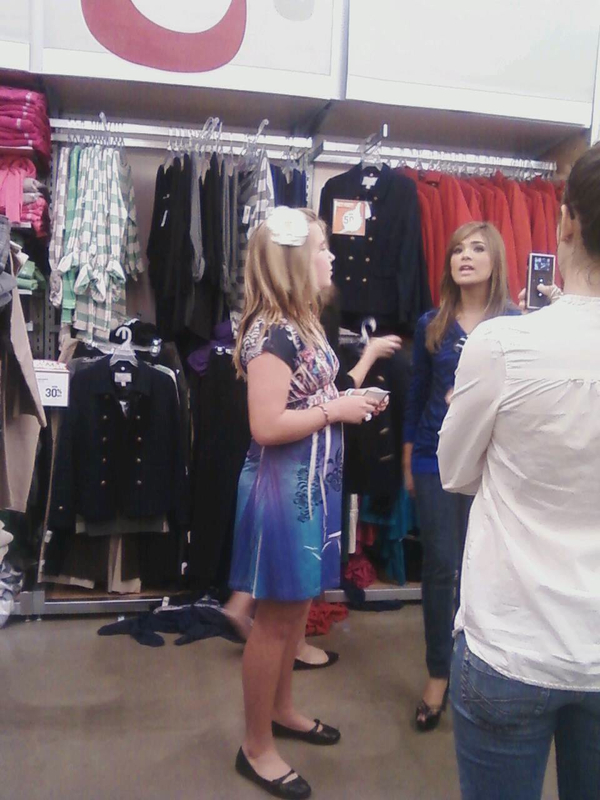 The clothing line is expected to launch a girls line sometime next year! Be sure to check it out. If you’re wondering how Nicole Anderson spent her Thanksgiving, here’s some footage of her at Knotts Berry Farm on Thanksgiving Day. 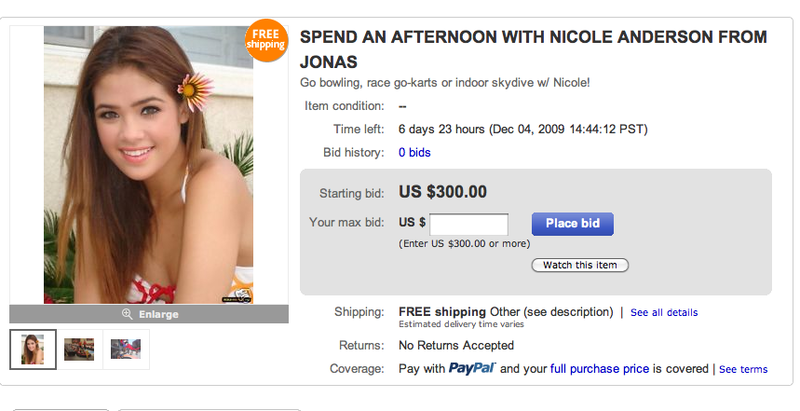 Nicole Anderson is letting YOU spend a day with her, go bowling, race go-karts or indoor skydive with the J.O.N.A.S starlet! 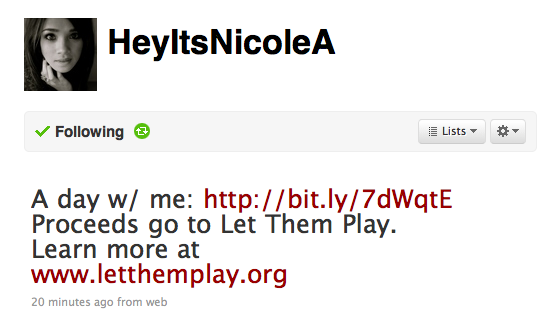 All proceeds will go to Let Them Play foundation. 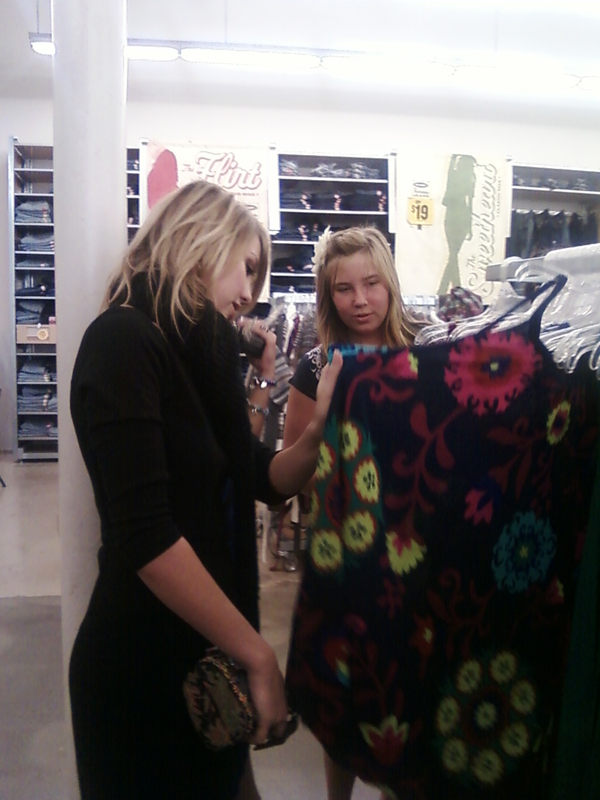 Chelsea & Nicole Take Over Citadel! Citadel Outlets’ and Radio Disney LA AM 1110 road crew hosted a meet and greet with Disney Channel starlets: Chelsea Staub and Nicole Anderson, earlier this evening. 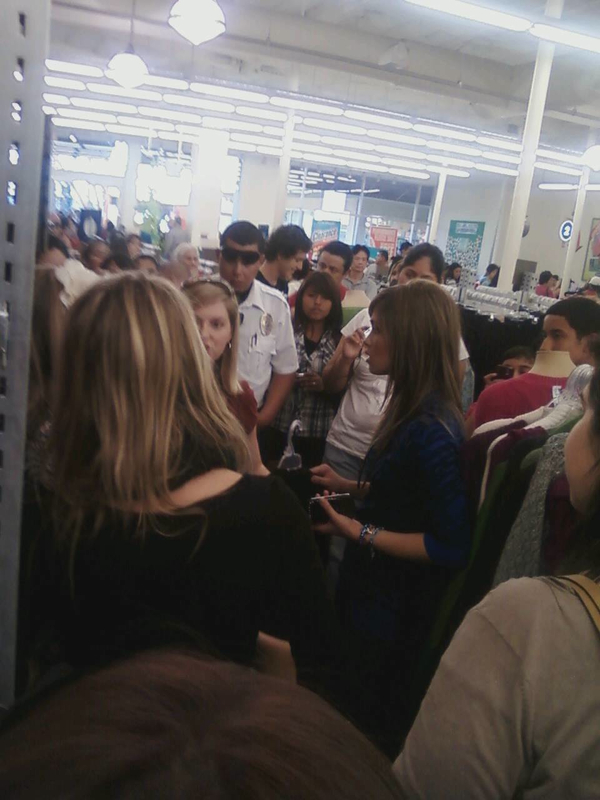 The event included an autograph and picture session with fans and even a shopping spree giveaway, in which one lucky winner would win a $150 shopping spree accompanied by Chelsea and Nicole themselves. Watch our EXCLUSIVE video of them answering our quick questions and going through their shopping spree with the lucky winner!